Ubisoft: the press conference consisting of a lot of music and that happens between the two that I was/am actually excited for, Square Enix and Sony. Yet here we are, so let’s see how it goes! The obvious bets are Just Dance 2019, Assassin’s Creed, and The Division 2, but will we have any surprises? A rainbow explosion! A panda in a marching band! A generic shiny superhero! We all know where this is going, right? Just Dance 2019. Available this October. I’m still waiting for Ayisha Tyler to appear but apparently Ubisoft has ditched having a host altogether. Skull with a purple mohawk. Check! A planet with many rings of ice. Check! A ship gliding over the terrain. Check! A pig chef? Why not! Check! It must be Beyond Good and Evil 2, as it was announced last E3. The ship gets destroyed by running into a giant ice wall, and the few survivors are confronted by Jade. Fans will recognize the young Jade, as well as Pey’j the pig as the cook. Beyond Good and Evil 2 is described as a space opera prequel by the developers. I like Rent, which is a rock opera, and that’s totally the same thing right? You play as a space captain near the end of the 24th century. The developers show a brief look at a major location in the action RPG title. Oh, this is a bad idea. The developers are putting out an open call for art and sound that could be used in the game. Although... okay, it’s a cool idea too? Hey, it’s Joseph Gordon Levitt! That makes sense, Hit Record would be part of something like this. It’s actually quite a trustworthy platform, Hit Record — the point is to collaborate. There’s no contest, everyone works together regardless of their skill levels. The first challenges are live now. The Rainbow Six Siege community now contains 35 million players, which isn’t too bad eh? Whatever this presenter is saying is going in one ear and out the other. Something something e-sports. Is that guy’s t-shirt a reference to Avengers Infinity War or just a game logo? Oh, and Ubisoft is creating a documentary surrounding the game, filmed during nine months. Is that Superdave? I’m being told not, and that he’s actually mocking someone else, but I think it looks like Superdave. Anyway, I’m assuming this is a Trials game thanks to the motorbike. Trials is all about crashing with style. The series and back and bigger than ever! I see LA, which would be a fun background location. But this new game doesn’t stop there, as it brings Trials worldwide to anything from courses to construction sites. I’m quite impressed at how much the series has improved since the first title. You never ride alone in Trials Rising. Normally in Trials, you ride against a ghost figure. This time, you have live riders alongside you. A closed beta will happen later this year, and the game will be released in February on PC, PlayStation 4, Switch, and Xbox One. As expected, it’s time for The Division 2. We’ve got the creative director on stage. On Black Friday, a virus is released on dollar bills in New York City. Seven months later, the virus has burnt out but America is tearing itself apart, with Washington, D.C., at its heart. This trailer shows a world of hope, a world with children and fresh food. But then move to the other side of the wall, and it’s an urban wasteland. Help is coming for those who need it. Players start by choosing a signature weapon, and as they progress through their specialization (choose from four) they can unlock new tools and abilities. For the first time, eight players will be able to partner up for raids — which means I won’t be seeing my boyfriend for about a year after release. Speaking of, the dev is promising *years* of content updates. In year one, three episodes will be released as DLC with new stories and activities. Each episode will be free for those who own the game. Even if just the first year/season is free and later DLC is paid, that’s an intriguing idea. There is another trailer that plays, showing more of the gameplay than the last. Gameplay with is shooty-shooty-bang-bang and some stealth and little else, but people seem to love it. The game will be released on March 15. Finally, moving on! Rabbids, perhaps? This scenery is very pretty. Oh geez of course, it’s Mario + Rabbids. A new hero is coming: Donkey Kong! The composer and a band (Critical Hit) are live onstage for some live music while game videos play in the background. The DLC is available on June 26. Piracy is dead. The old guard was wiped out. No, wait: long live piracy. The tide turned in their favour once more. An Ubisoft Singapore production; I would guess this is Skull & Bones, as was announced last year. Of course, the game looks amazing, as almost everything has from a visual standpoint this year. Skull & Bones is by the same team that was behind Assassin’s Creed: Black Flag, and a lot of the ship movements, etc. have been borrowed from there and improved upon. Fortunes can reveal changed in factions, weather, and more. The “essence” of the game is a shared world where every encounter matters, whether you choose to align or fight. And it’s time for a new trailer that has great water effects! Water! My love is back! (See Microsoft recap if confused.) This is actually quite a long trailer, too. Skull & Bones will be released in 2019. Purple and teal lines lights frame the stage. Transference. Hi, Elijah Wood! He’s the founder of Spectrevision, who usually make films but as avid gamers, the employees are happy to move into the game medium by combining film and games. Is that an FMV title I hear? I love FMV and am still rambling about my latest play — The Infectious Madness of Doctor Dekker — and always require more. Solve puzzles while shifting between family members to solve a mystery. Available both in VR and without VR, this is going to be special. Really, really special. Playing in VR would be especially interesting, although I’m personally not able to. The trailer shows a father speaking and a son exploring the home. But things aren’t as they seem, as furniture is on the ceiling and demons are coming from the shadows. Escape a corrupted mind. Available this fall. I’m not entire sure what this next title is from the trailer, so either it’s new or my brain has pushed out past information. It looks like this may include physical toys, though? Games need less toys. Starlink: Battle for Atlas will be available this October. Oh yes, it was revealed last year. Definitely pushed that one out of mind. Ubisoft promises a lot of depth in the game, a common claim this E3. But this one involves STARFOX! No way, Miyamoto is there! That man has inspired generations of developers to date and will for more to come, without a doubt. He’s presented with a StarLink figure. It drives me crazy, the way Honor is spelled. Oh well, Americanisation at its finest. For Honor’s players have helped enrich the experience, but the dev says actions speak louder than words. New players are being invited to join, starting today and until next Monday the PC starter edition is free via UPlay. But that’s not all! It’s time for the world to grow... into a montage, apparently. No, to Japanese warriors, the least necessary expansion ever. There are at least a dozen better titles to play. Anyway, Marching Fire is the next expansion, the most ambitious to date, and also includes a new castle siege mode. It is available October 16. What’s an E3 presentation without a fast car title? The Crew 2 launches June 29 on PC, PlsyStation 4, and Xbox One. And it’s finally time for Assassin’s Creed! The fate of Greece is in your hands in Odyssey, and I’m beyond excited for this locale to be used. More than an adventure, Assassin’s Creed is hands-down the definition of an RPG (debateable). The Penelopian War rages, and you’re a simple mercenary who has to saved your loved ones and become the hero Greece needs. Your actions and choices will shape how the game proceeds. At the beginning of the game, you can choose between Alexios or Cassandra as your protagonist, a descendent of Lionitus. The battles are, for the first time, quite massive in scale. I noticed an option to hit a button and follow the road while on a horse, hopefully making traveling easy on my poor, permanently-painful wrists. Odyssey is the first game in the series to truly speak to me, as I did study Ancient Greece, mythology, and even the language at University. I may have to pick up this one! I really feel like a release date is on the way... come on, Ubisoft, give it to us straight... October 5, not too long at all! It’s the end of Ubisoft’s press conference, which was wholly unsurprisingly although not entirely disinteresting. 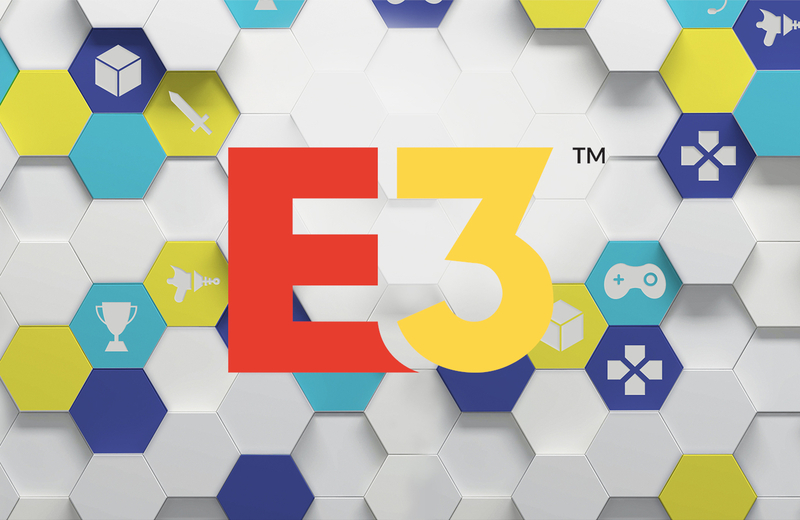 See you all later today for the second-to-last event of E3 2018, Sony’s press conference! I expect fireworks!